In addition to recommending Transcendental Meditation as the only meditation practice shown by scientific research to lower blood pressure, the recent American Heart Association report* also recognised that, along with other recommended alternative therapies, Transcendental Meditation is generally considered safe and without harmful side effects. As an additional advantage, the report noted, there may also be a range of health and psychological benefits beyond lowering blood pressure and cardiovascular risk reduction. 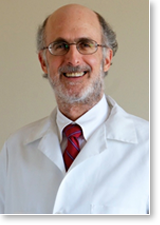 Dr Schneider is Director of the Institute for Natural Medicine and Prevention and Dean of Maharishi College of Perfect Health at Maharishi University of Management. He was lead author of the study** published last year in the American Heart Association journal Circulation: Cardiovascular Quality and Outcomes, which was referred to in the AHA report and found that African-Americans with heart disease who practised Transcendental Meditation regularly were 48% less likely to have a heart attack or stroke, or to die, than those who attended a health education class. * Brook RD, et al., Beyond Medications and Diet: Alternative Approaches to Lowering Blood Pressure. A Scientific Statement from the American Heart Association. Hypertension, 61:00, 2013. ** Schneider RH, Grim CE, Rainforth MV, et al., Stress reduction in the secondary prevention of cardiovascular disease. Circulation: Cardiovascular Quality and Outcomes. 5:750-758, 2012. Source: Adapted from Transcendental Meditation News, Britain's national Transcendental Meditation magazine.